Custodian of the Two Holy Mosques King Abdullah has approved a five-year plan worth more than SR80 billion to overhaul the Kingdom’s education system. The plan includes building 1,500 nursery schools, training about 25,000 teachers, and establishing educational centers and other related projects, said Education Minister Prince Khaled Al-Faisal on Monday. Prince Khaled said the King Abdullah project would bring about qualitative improvement in education, to benefit present and future generations. “It will improve the performance of teachers and the educational standard of children,” he said. The executive plan covers the provision of education through the private sector, linking schools with a broadband Internet system, smart classrooms, computer systems for e-education needs, setting up specialized schools, support for clubs, construction of new buildings, renovation and maintenance of existing schools, and enhancing safety systems. “The king has also agreed to set up an endowment to support public education,” the prince said. This would enable the ministry to have an independent financial source to cover additional expenses, thus easing pressure on the national budget, he said. 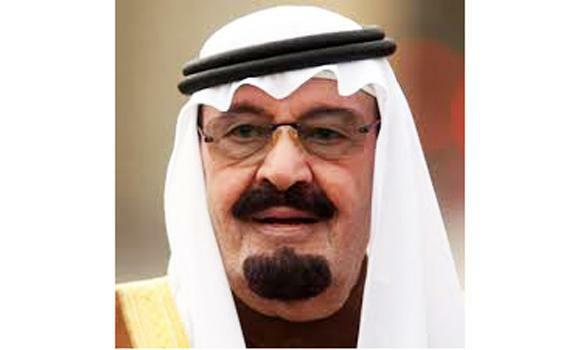 Saudis have applauded the king’s initiative. “This is good news for all Saudis,” said Abdelelah Saaty, an educationist and rector of the College of Business in Rabigh. He said King Abdullah has focused attention on this sector “because he believes that education is the cornerstone of a nation’s development.” During King Abdullah’s reign, education has received the most money from the state’s coffers. This year SR210 billion has been allocated for education and training. “King Abdullah has a vision and ambition which is far beyond the present standard of education in the country,” Saaty told Arab News. He hoped that the King Abdullah project would speed up educational progress in the country. “The number of public universities in the Kingdom grew from eight to 30 during King Abdullah’s era,” he said.